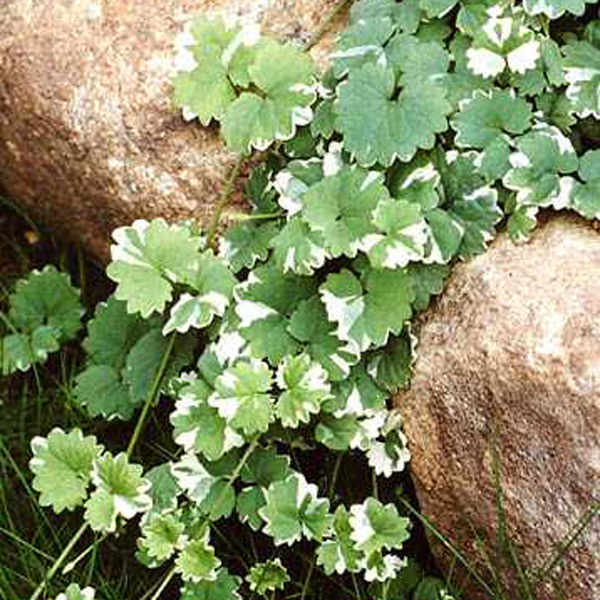 A popular cascading foliage plant for hanging baskets, the round green leaves are handsomely dappled in creamy white. Spikes of violet-blue flowers appear in spring. An aggressive creeper, good as a lawn substitute but keep this out of beds and borders. Easily increased by allowing stems to trail along the ground and root along their length. New plants can be moved in spring or early fall. Mow or prune back hard in early spring.